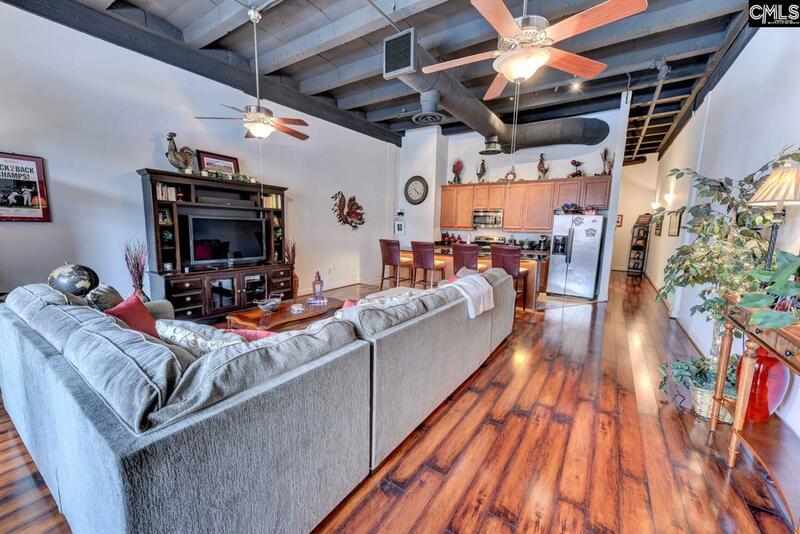 One of a kind condo living in downtown Columbia! Unit includes PRIVATE ROOFTOP OBSERVATION DECK overlooks stadium for game day excitement & offers great outdoor living space. Interior features include an OPEN FLOOR PLAN with GRANITE kitchen, STAINLESS APPLIANCES, 14 Ft ceilings, 8 ft solid core doors & WIDE plank laminate and tiled floors- no carpet! Secure access, convenient to central business district & university campus. Full appliance package to include REFRIGERATOR, WASHER, DRYER. This is a must see! Sqft Approx; buyer to verity.